Highlights: Lucas Hnath's work has been seen on #TCTheater stages several times in the last few years, most recently Theatre Pro Rata's production of Isaac's Eye. This is another smart, funny, insightful, cleverly written play. 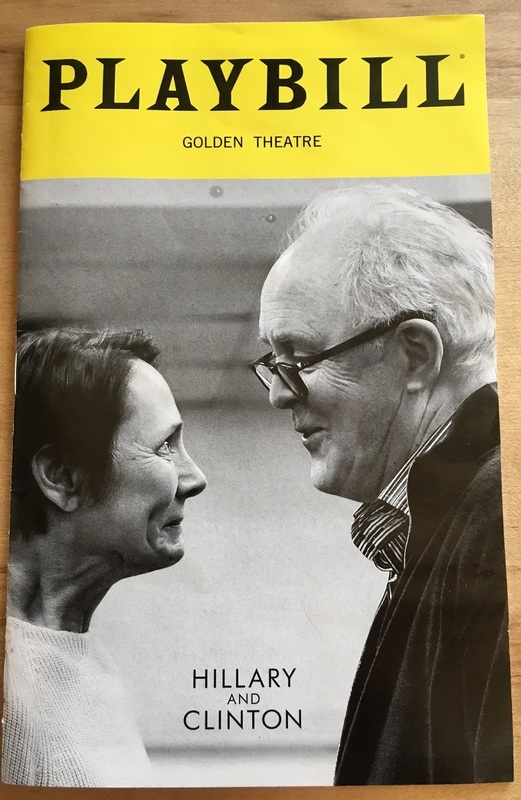 The play begins with the Hillary character (played by the brilliant Laurie Metcalf, who may win her third Tony for this) explaining the concept of infinite universes, and that what we're about to see takes place in one such universe. It's 2008 New Hampshire and Hillary is losing the primary race to some unknown named Barack (played in one brief scene by Peter Francis James). Her campaign manager Mark (Zak Orth) relays Barack's offer to make Hillary his running mate if she pulls out of the race, but instead she calls her husband Bill (the also great John Lithgow), against Mark's advice. What follows is an intense, funny, personal, strategic, and political conversation that covers their relationship, his past mistakes, and her current campaign. The brilliance of Laurie and John's performances is that they don't do Hillary and Bill impressions, or even try to look like them (in previous versions of this play, which was written in 2008 and premiered in 2016 before the election, Hillary was played by an African American woman). They just play these two very human and real characters who could be anyone, even though we know exactly who they are. The set (designed by Chloe Lamford) is a blank white box containing just a chair and mini fridge, which becomes littered with papers, clothing, and other discarded items as the play goes on. Sadly, even in an alternate universe Hillary still has to face the double standards placed upon female candidates, and the past baggage of Bill's presidency and scandals. Even though this is a very funny and engaging play, it's also pretty depressing in hindsight. But maybe this play, so long in development, is having a resurgence now because we're tired of the double standard. Maybe 2020 will be that alternate universe in which a female candidate is able to campaign on her own merits.